Aligners are the invisible way to straighten teeth. Custom-made nearly undetectable aligners are used to move your teeth into position instead of brackets. 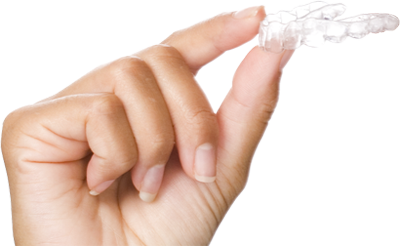 There are several companies who produce these plastic aligners including Invisalign, Clear Correct and Eon Aligners. At South Dublin Dental we have chosen Clear Correct to be our manufacturer of choice. The aligners are made of a lightweight plastic that simply fits over your teeth. When the aligners are in place the teeth are gradually and gently shifted into position. There are no brackets placed on the teeth and no wires to tighten. The aligners are simply replaced in sequence approximately every two weeks until the teeth are in position to give you the smile you have always wanted. The great thing about the whole treatment is that most people will not notice that you are straightening your teeth. During an initial consultation Dr Alec or Dr Hannah will decide if Clear Correct treatment is suitable for you. A treatment plan will then be written. This along with impressions and photographs will be submitted to Clear Correct. 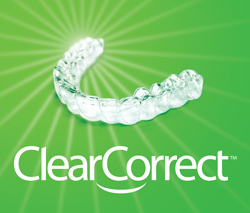 Clear Correct will then create a series of custom made clear aligners using 3D printing technology. Thousands of dentists are treating patients with Clear Correct for a range of problems, whether the issue be spaces between teeth or teeth which are overcrowded. Patients who had braces in their youth which may have slightly moved are also great candidates for this type of orthodontic treatment. The aligners only work when they are being worn. For this reason it is recommended that the aligners are worn consistently throughout the day and night apart from when eating, brushing and flossing your teeth. The duration of treatment depends upon the severity of the case in the first place as this will determine how many aligners will need to be worn. On average treatment time is around 12 months.